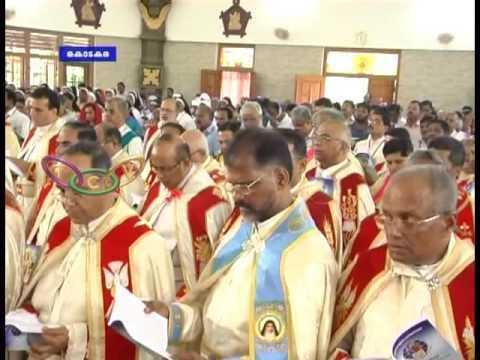 Kochi, August 30, 2016: An assembly of the Kerala’s Syro Malabar Church has advised the laity against opulence while asking pastors to exhibit simple lifestyles. Weddings should not be an “occasion to display wealth and power,” said an 84-page document, ‘Response of the Church to the Challenges of Today,’ adopted at the Major Archiepiscopal Assembly held in Trissur from August 25-28. A meeting of bishops, which will take up the suggestions made by the body, is expected to issue directions on the number of guests that can be invited for weddings or other functions, the dress code for the bride and bridegroom, limits on expenses on beautifying exteriors of churches and its institutions, banning fireworks at church feasts, and restrictions on clothes, meals and gadgets used by pastors. “Marriage celebrations have become opportunities to publicise status and wealth of families and their relatives,” the statement said. Quoting reports, the Church body said more than 800 tonnes of gold are bought for weddings in Kerala, while poor girls are finding it difficult to get married. “The Commission for the Welfare of Women has recently asked why weddings cannot be conducted with 10 sovereigns (80 grams) of gold. We also have to limit the number of invitees for weddings,” it said. Father Jimmy Poochakkatt, spokesperson of Syro Malabar Church, said the Bishops Synod, which is currently meeting, could come out with instructions. He said the assembly, which included bishops, priests and eminent personalities, also discussed the need for a dress code for weddings and for attending church. “There is a dress code for baptism and first holy communion. We are thinking we can adopt one for the bride and bridegroom so that expenses can be restricted,” he said. Supreme Court Judge Kurian Joseph, who addressed the assembly, said a “uniform dress” for wedding would bring in simplicity.